Why does my SkipJack payment gateway integration fail? Upon signing up for service with SkipJack, your SkipJack account will be placed (initially) on a testing environment. If you're having issues getting SkipJack to work on your store, please contact SkipJack and ask them to move your account to their active production server so that it is no longer in the testing environment. Also, during your initial sign up with SkipJack, you will be given a series of credentials to enter in your store. These include a merchant account number, an HTML serial and a developer serial number. For 3dcart, you will only need the HTML serial number as the developer serial number is not used. However, SkipJack by default will still have your account set to use the developer serial number. 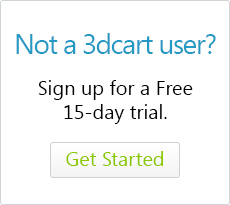 Therefore, when requesting that they move you to a production environment, please also request that they turn off the Developers Serial requirement to use your SkipJack access on 3dcart.